When we went to Portland a couple of months ago we visited the Oregon Museum of Science and Industry. One exhibit has a warning at the entrance for the squeamish and sensitive; a warning is appropriate here too. You may not wish to scroll down to the third photograph in this post. I found Beginning the Journey to be their most stunning exhibit. 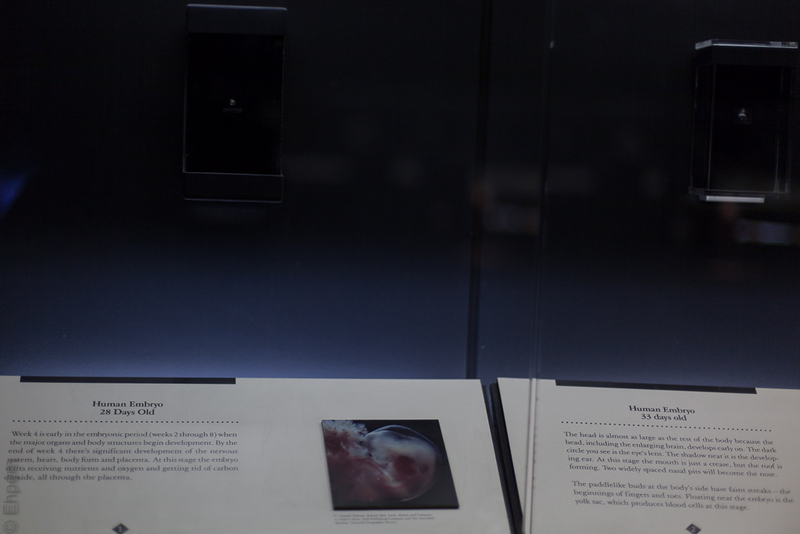 It documents human prenatal development by displaying a long series of human embryos and fetuses from throughout pregnancy. As their sign says, “the survival of these embryos and fetuses was prevented by natural causes or accidents”. They have been collected from various medical universities and hospitals. Above is a panorama of the exhibit, below are examples of signage. At the bottom is a more detailed photo from near the end of the development timeline. Canon 5Dii, 50mm f1.4 lens and Samsung S4 phone in panorama mode. 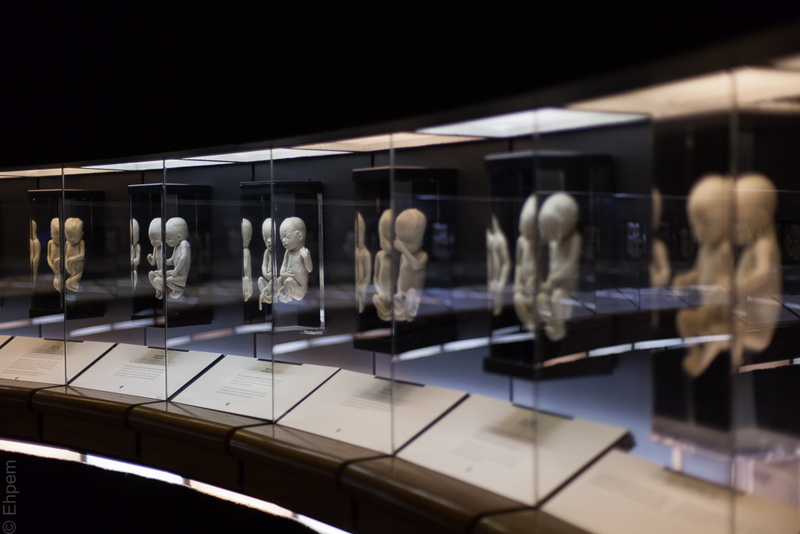 quite a fascinating exhibit….Not sure how I feel about it…being childless . Thanks for sharing it with us. It is fascinating Sherry. I think there are a lot of people who don’t know how to react. It looks to me to be a fantastic exhibit, Mr E. Glad to see it! I owe you an email, sorry. One day soon I hope. It was a very good exhibit, though a bit unsettling in many ways. A lot of women’s tragedies on display in that room, which must have had the curators going around in circles deciding how they could do it sensitively, and justify the use of these human remains at all. I wonder if they are very old examples? I would imagine they would have to be very, very careful about using contemporary ones. I have had three miscarriages but would really love to see something like this, and I don’t think I would relate it to my own situation. I think they must be old, probably decades old. You might be unusual in that respect, many (most?) women would not openly discuss their own miscarriages. You could be right about that Mr E. I think it is wrong to hide these things. Most young women have no idea how common miscarriage is. If they knew more about the reality, it might make any problems they may have easier to bear.